Best days are when the Internet is not full of poop but provides a funny little surprise. I live for them. I’ll drop the spoiler first. This happened. I’ve had several times of searching widely for open licensed photos and landing on one by my Aussie friend Michael Coghlan (scroll past the post about a spammer to the image credit). So the other day, I’m writing a section for a project with a title like “Peeking Behind the Curtain”, hoping for a cute animal picture of a Toto-like dog pulling the curtain on the Wizard. 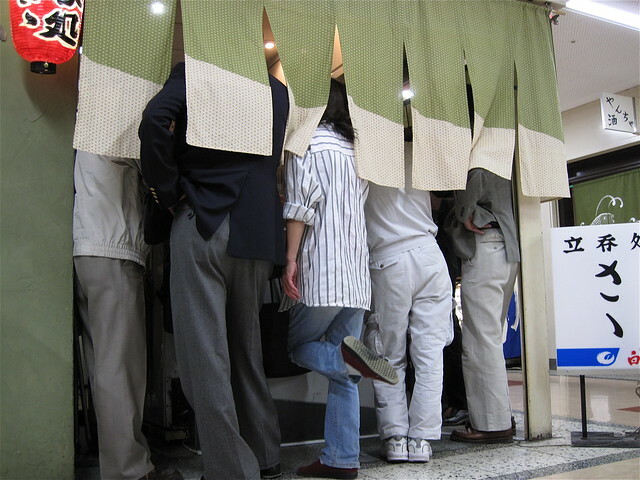 My first round of search for open-licensed images in Google was on “peeking behind curtain” and fell a bit short. Changing it to just “behind curtain” was mixed bag too. But the one of some people inside what looked like an Asian storefront kind of felt right, although it looked like all men. It’s from Wikimedia Commons, a place I end up getting a lot of my images from. It looks good on the image page and as I scroll down notice something interesting in the photo credits. Okay, but I’m fuzzy. This was on a trip where I went to after Japan to visit my friend Bert Kimura, which I only know by scanning the adjacent images in the flickr timeline. I don’t want to be bragging about this, just noting the oddity of doing an image search and finding a photo I forgot about. 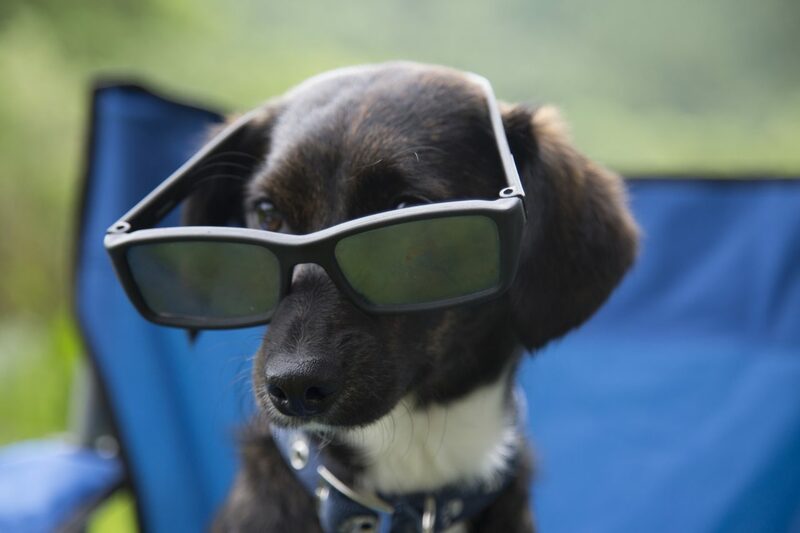 Featured Image: Dog With Glasses PublicDomainPictures.net photo by George Hodan put into the public domain using Creative Commons CC0. This is a cool thing. Another cool thing is that if you go down to the categories on the page with the photo on Wikimedia Commons, the image is categorized with, among other things, “males standing on one leg.” Who knew that would be enough of a thing to warrant its own category? That’s weirdly neat niche category! Thanks for spotting it.